Pulling Highlights: 1st place at MO State Fair Xcaliber 2017, 2nd place points in Xcaliber 2017 Favorite Pull: Don’t really have a favorite pull, but always enjoy pulling where there is a lot of fans and good competition. How It Started: Steve’s Uncle, Jim Carroll, pulled a Super Stock 4WD Truck in the 70’s, so Steve grew up around a pulling family. Steve’s wife’s family has also been involved in pulling for over 40 years. 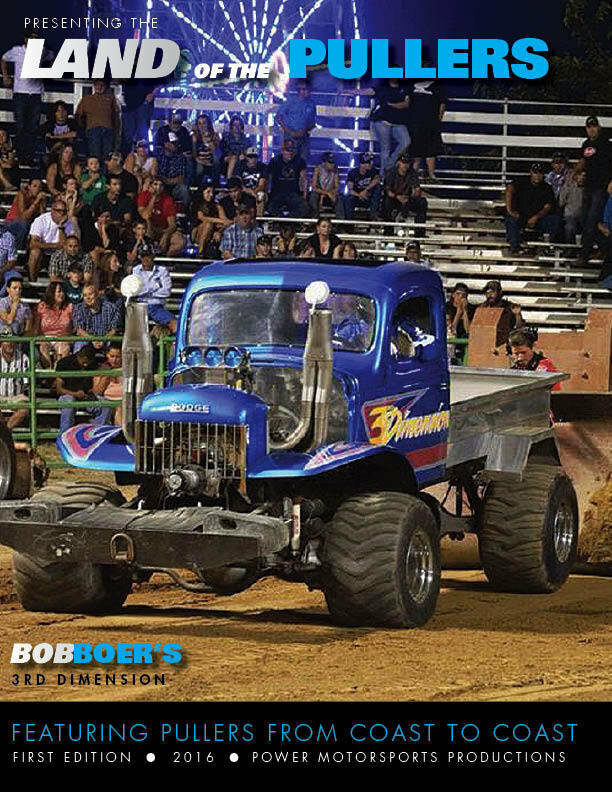 Steve began pulling with his father-n-law, Gerald Ammann, in the early 90’s. Steve’s first pull was a 1st place finish at Fayette County Fair in Brownstown, IL in 1991. About Steve: Steve has been married to Christy Ammann Bost for 28 years and they have 3 children, Sarah, Claire and Nathan. They live on a farm and raise black angus cattle. Steve has operated heavy equipment for over 30 years and owns/operates Bost Excavating Inc.
Special Thanks to: Gerald Ammann, Ammann Farms Inc., Sonny’s Racing Engines.